Home Children paedophiles paedophilia University of Nigeria Nsukka University Women's Association Reality of Paedophiles - University Women's Association, UNN. 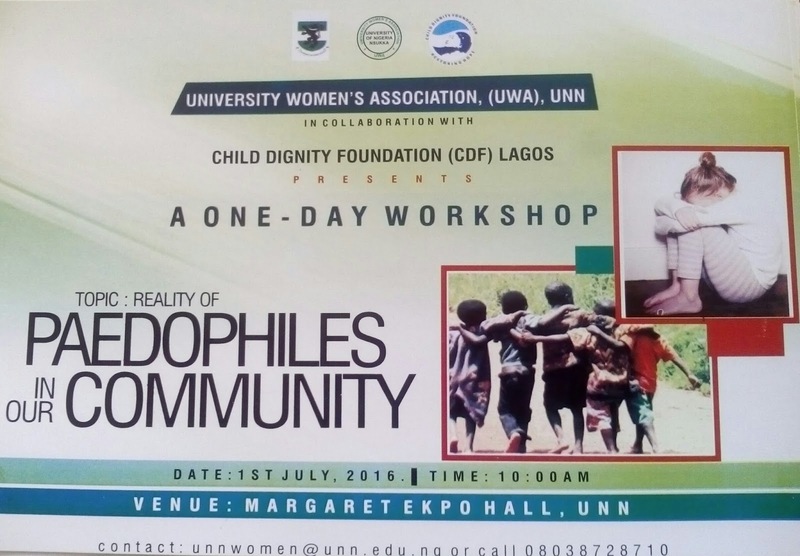 Reality of Paedophiles - University Women's Association, UNN. 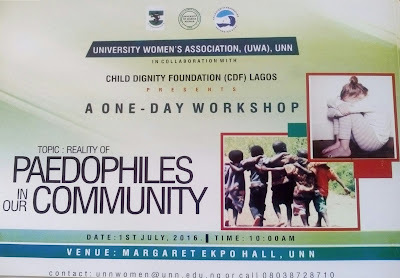 University Women's Association (UWA), University of Nigeria, Nsukka In Collaboration With CHILD DIGNITY FOUNDATION (CDF) Lagos, Presents a ONE -DAY Workshop! Venue: Margaret Ekpo Hall, UNN. This is a MUST-ATTEND for Parents, Children, Guardians, Teachers, Students, Everyone!